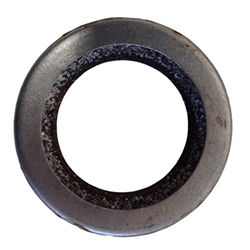 Seal oil, axle shaft, outer. This is only used on jeeps with rezeppa type knuckle joints and is used in place of the bushing for the other type axles. F script stamped! Limited supply.